The LG 60LB7100 LED TV fits the large format screen bill for LG in 2014. 60+ inch screen sizes are more popular than ever before and all the TV manufacturers are heeding the call. The LB7100 series is almost identical to the LB7200 series above it. The LB7100 series just takes the sizes up a notch. The only thing it is missing is the built-in subwoofer, which isn't a problem if you have a home theater setup. The 60LB7100 has a price tag of around $1,700. 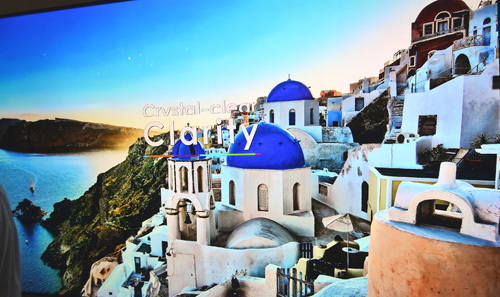 The 60LB7100 is a mid-tier LED TV with plenty to offer in terms of picture quality in a big screen package. The IPS panel, one of the best picture quality features on this one, is something else to be excited about. 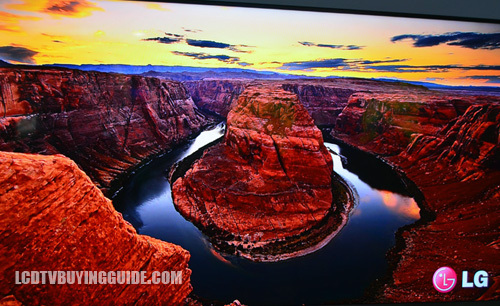 We've seen these in Panasonic LED TVs last year, and the improvements are excellent. Side viewing anlges are improved, light flowthough, and the resulting image is more brilliant and vibrant. Color reproduction benefits as well. Colors come out looking bright and natural. This is a big improvement over last year's similar LA7400. Local dimming, called Micro Pixel Control, helps to boost the overall contrast in images. It is part of the Triple XD picture processing engine and is called TruBlack Control. It uses High Dynamic Range processing to render both light and dark parts of the image. The LG 60LB7100 doesn't have the nearly frame-less design, but the bezels are still quite thin with a dark metallic color that is a little wider across the bottom. It has the two-legged stand that we are seeing a lot of this year. The stand is very minimalistic and not really attention grabbing. However, if your TV stand isn't wide enough you may have to wall mount it. It's about 2.2 inches at the bottom to accommodate front firing speakers. The overall design is attractive yet low key. The 60LB7100 sells for around $1,700, making it pretty pricey. You are paying for the large screen and excellent features like the IPS panel and the new WebOS powered smart TV platform. Downsides like weak free apps, game mode motion blur, and the lack of a subwoofer aren't really important for those looking for a good movie and sports TV. 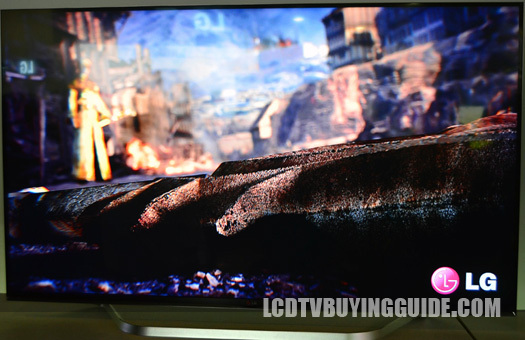 Competition comes from the Samsung UN60H6400, which sells for less. The Sharp LC-60SQ15 comes at a similar price with the ability to accept a native 4K signal.